Did we mention they have mean steaks, too? 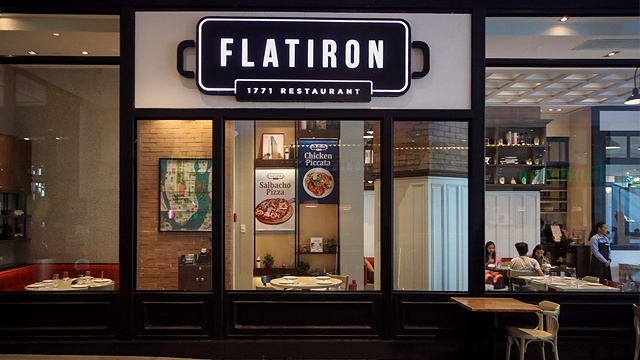 (SPOT.ph) You might be familiar with the historic New York landmark that Flatiron 1771 was named after—that triangular, 22-storey building that’s just as quintessential to the Big Apple’s identity as the Statue of Liberty. 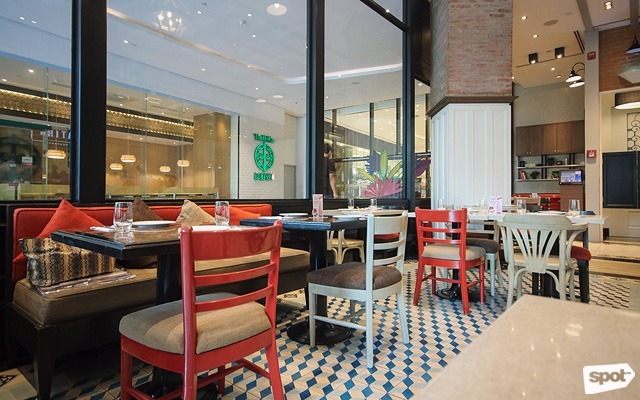 And, if you haven’t heard, the Uptown Mall restaurant is practically an ode to New York City—from the looks and vibe, down to the food. 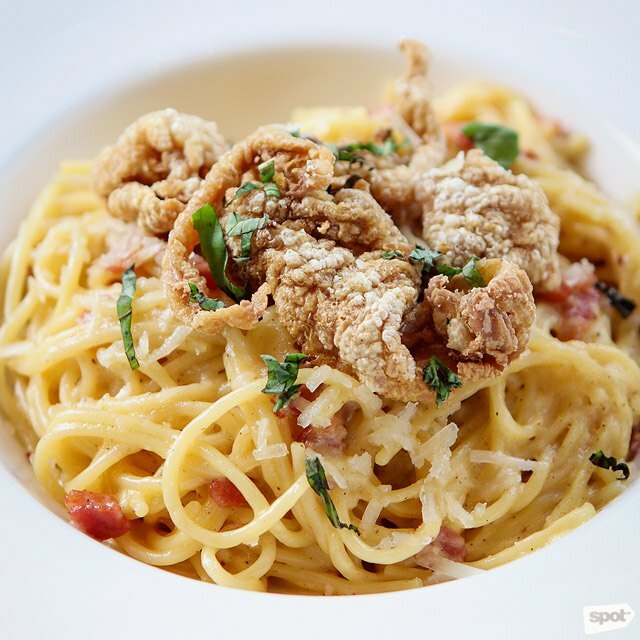 One of the unique must-tries is the Truffle Carbonara with Chicken Skin Crackling (P390). At first glance it may look (and smell) like your ordinary truffle carbonara, but the crunchy chicken skin sprinkled on top makes it more than your run-of-the-mill creamy pasta dish. 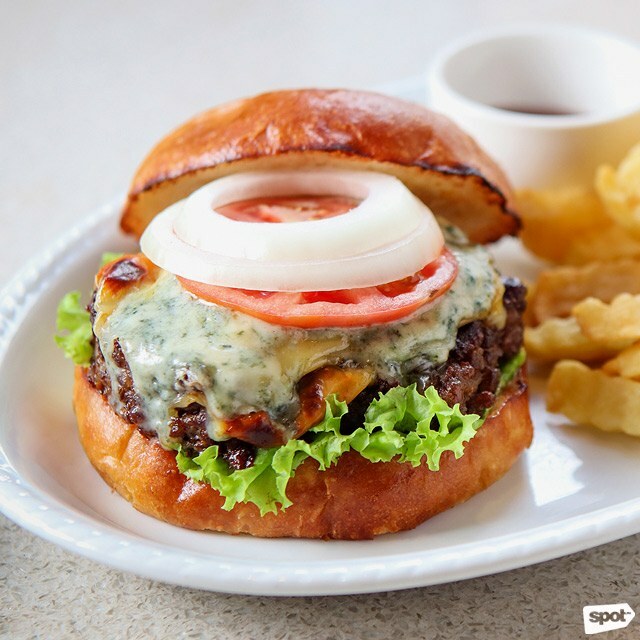 Those who like sandwiches will drool over the Blue Cheese Burger (P585), where the delicious balance of the savory-rich beef patty and the pungent blue cheese take the show. In between the grilled buns are onion, tomato, and lettuce, which add some freshness and bite to the burger. It’s served with a side of homemade crinkle-cut fries to make the experience even more satisfying. 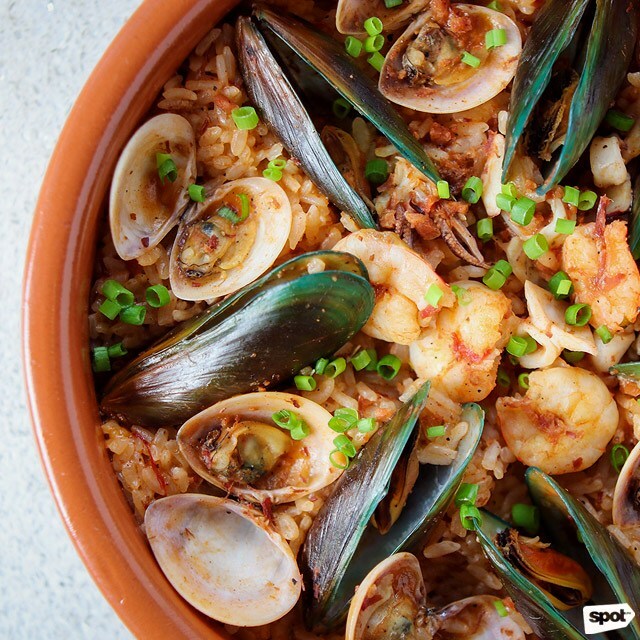 For seafood and rice lovers, don’t miss the Seafood Jambalaya (P700), a paella-like dish with Creole origins. Aside from the traditional medley of spicy sausages and vegetables—bell peppers, onion, and celery—this version is topped with succulent shrimp, squid, clams, and mussels. 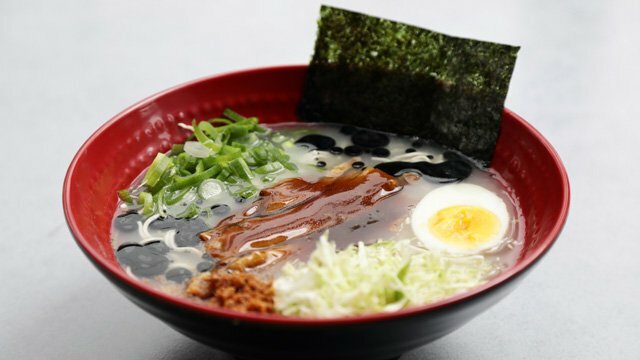 It’s a flavorful creation that will surprise you with a teeny bit of heat. 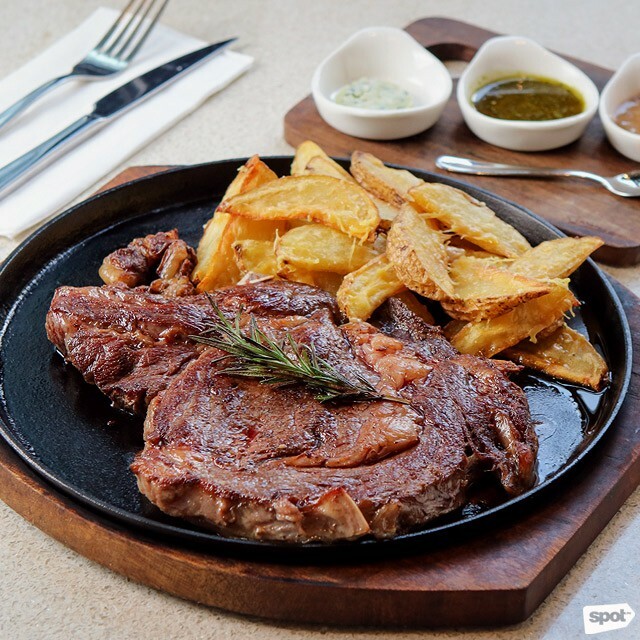 When you’re here, you better sink your teeth into their house specialty, the Prime Rib Steak with Toasted Fat (P500/100g). Just one glimpse of this gorgeous chunk of meat will bring out your inner carnivore. It’s seared perfectly brown and crisp on the outside, while still managing to be pink and juicy inside. You’ll relish each meaty bite as is, but it's also best to try this steak with any of the three matching sauces: Blue cheese butter, bois boudran (or a tomato- and mustard-based sauce), and tangy chimichurri. It’s also a sin to disregard the glistening brown trimmings near the cheesy potato wedges, which are actually bits of toasted fat from the steak. A perfect meal-ender is the Intense Brownie Burger (P560). 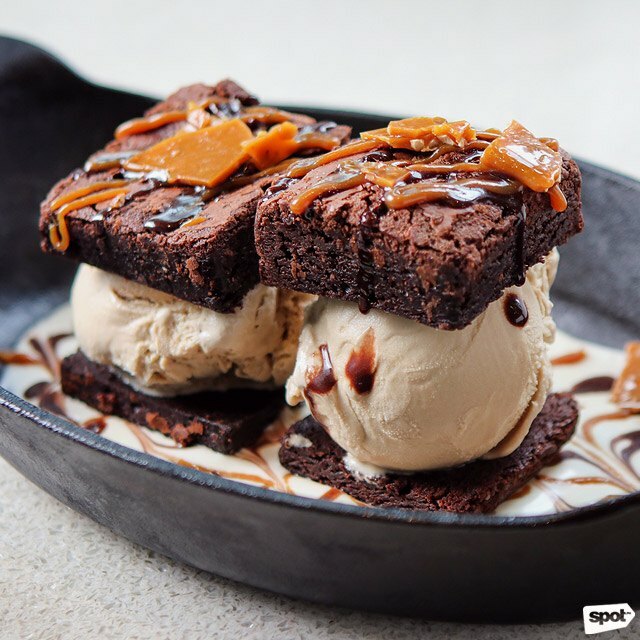 Think of it as an elevated ice-cream sandwich—only this one has two scoops of coffee-flavored ice cream sandwiched between two Swiss chocolate fudge brownies. And if that’s not enough, these are placed on a bed of delightful cream-cheese sauce with a mix of chocolate espresso and toffee. Not to mention, the slivers of toffee candy add crunch and texture to this already decadent dessert. 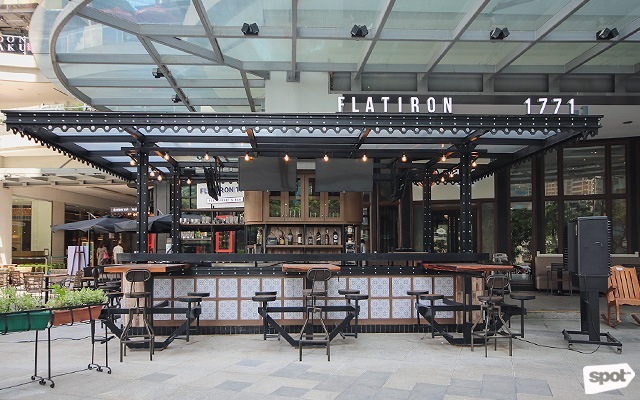 The restaurant, which was one of the first ones to open in the mall, now has an al-fresco bar area where you can unwind with your choice of libations. 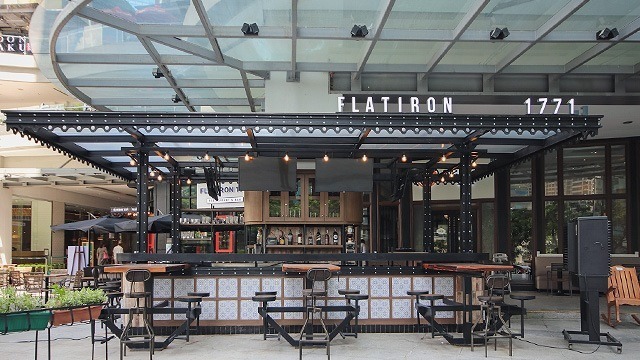 Flatiron also unveils their new small plates, which are good on their own, or paired with some boozy drinks for fun. The Beef Salpicao (P280) is a tasty and simple dish made with beef tips sautéed with lots of garlic and paprika. 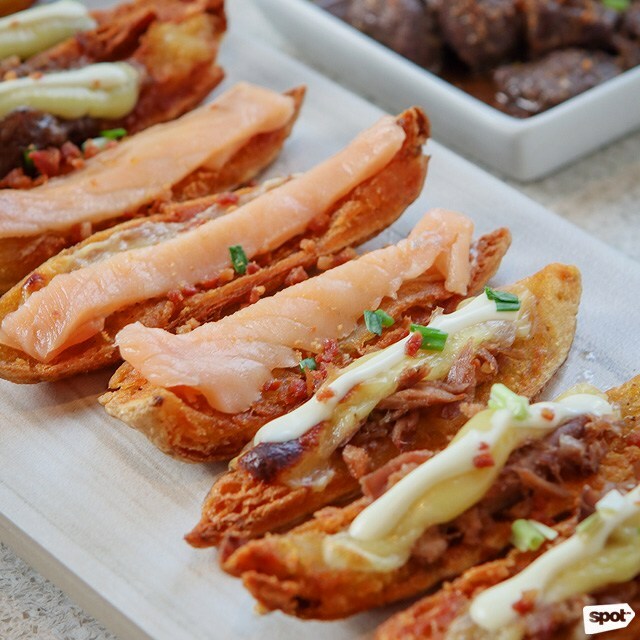 Something that’s good for sharing, on the other hand, is the Potato Skins Platter (P490), or crisp-fried potato skins with a variety of toppings: Pulled-beef brisket, smoked salmon, and sautéed tuna. 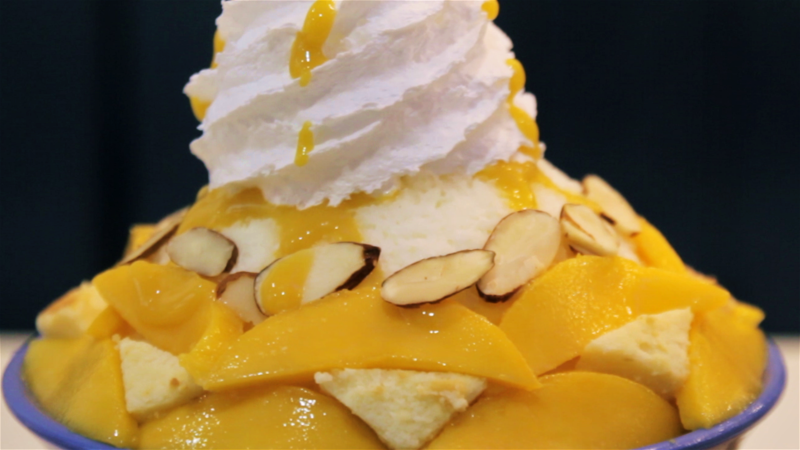 They’re good as bar chow as you enjoy front-row seats to the mall’s entertaining outdoor dancing fountain. 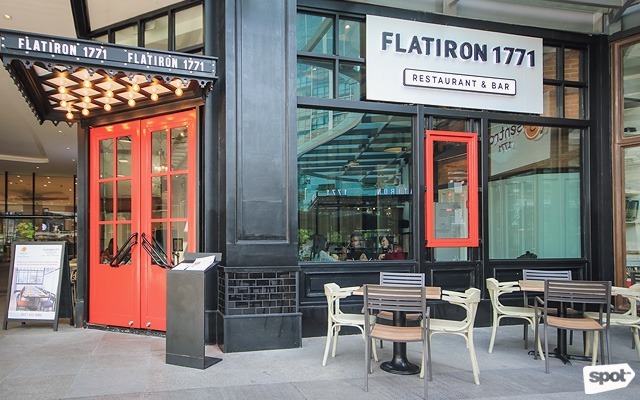 In case you plan to go to Flatiron for some drinks, best to either start early or really late so you can take advantage of Flatiron’s Happy Hour discounts: Indulge in beer or sake from 4 p.m. to 6 p.m., or spirit shots and highballs from 10 p.m. to 1 a.m.
Or you can give some of their original cocktails a go. 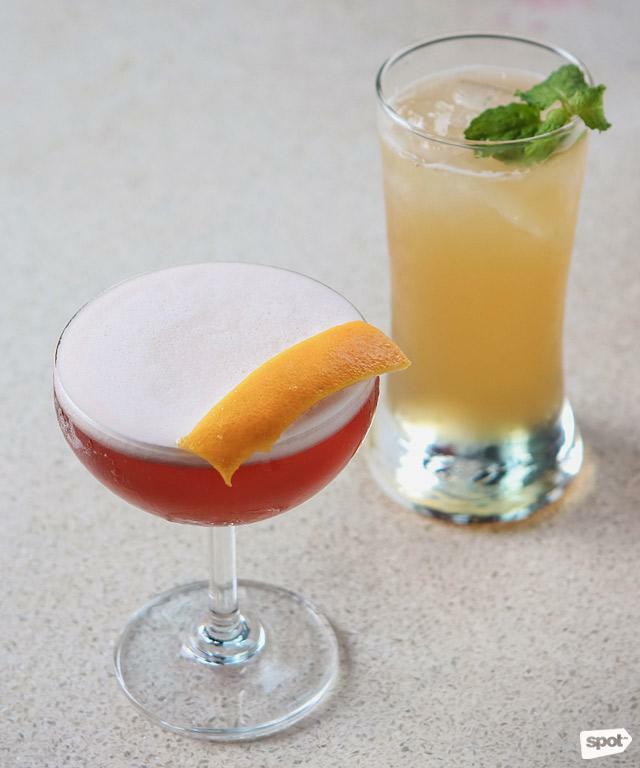 Fast becoming a bestseller is the Cosmo (P390), which has a zesty mix of vodka, Cherry Heering liqueur, cranberry syrup, lemon juice, and egg white. Another special concoction is the Christopher Street (P320), a simple Earl Grey-infused gin that has lemon juice, syrup, and soda water. It’s easy to miss New York City once you’ve been there—the sights, the food, the people. 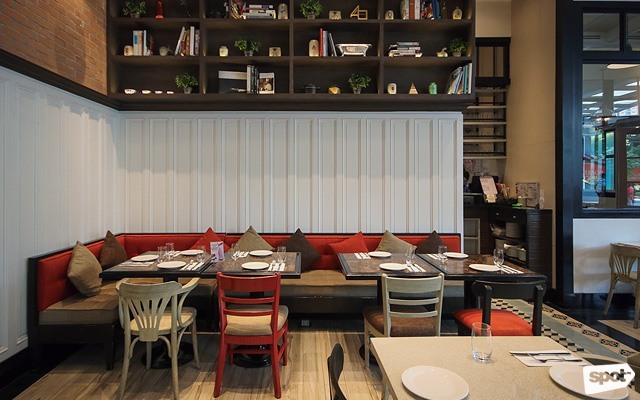 But missing it will hardly be the case anymore, as you can relive those memories at this restaurant.